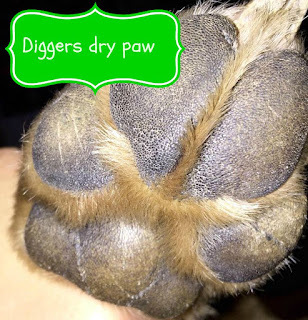 This Barking Wednesday I wanted to share a great way to treat Dry Dog Paws. Digger my grand-doggie runs outside on gravel. His family lives on a farm. One of the down falls of running on gravel is dry paws. To make sure Digger's paws stay healthy Dawn rubs Coconut Oil on Digger's paws. Check out the benefits of Coconut Oil. We also use Coconut Oil to prevent skin infections on Diesel and Digger. We apply Coconut Oil on all minor cuts that the dogs have. 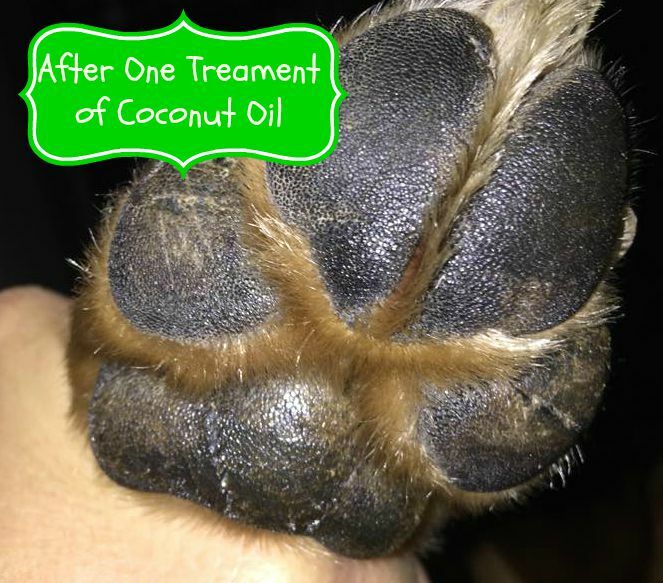 Coconut Oil is also great for healing skin rashes on the dogs. 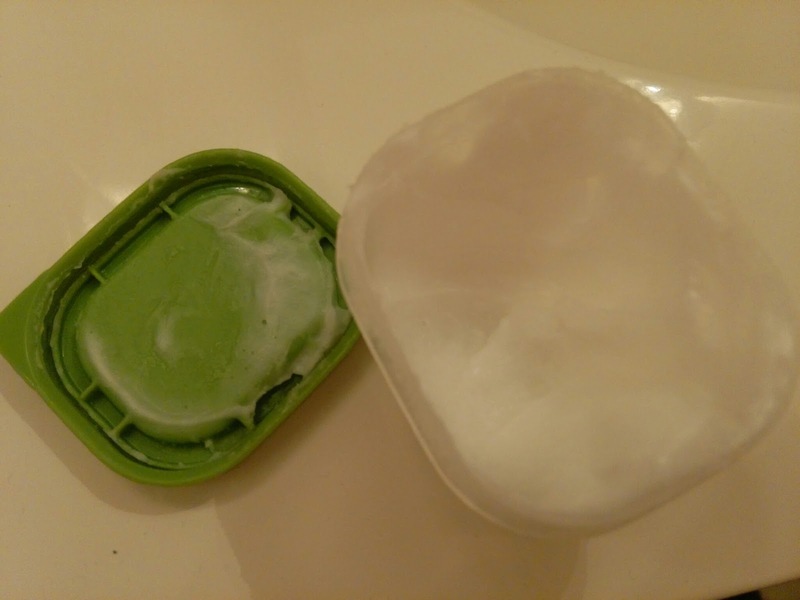 I have a small plastic container with coconut oil. Since we all use Coconut Oil on our skin we wanted a container just for the dogs. I also want to share with everyone the importance of touching your dogs paws. I like to rub Diesel's paws while we are relaxing. This helps get Diesel used to his paws being touched when we need to trim his nails, check for cuts, and apply coconut oil to his paws. 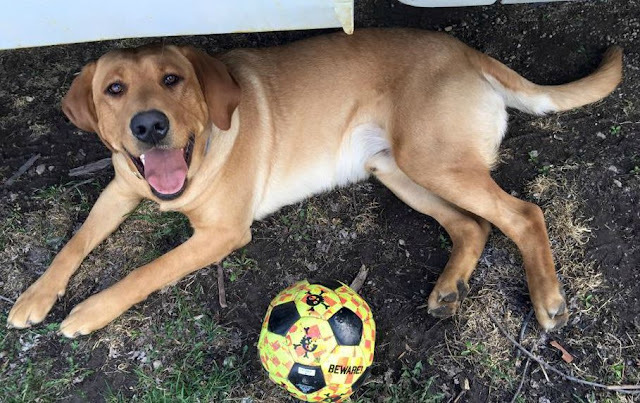 A pic of my precious Digger.